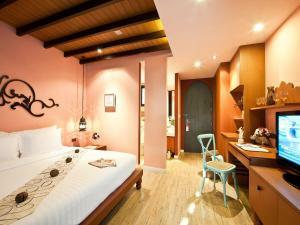 500 metres from Chong Nonsi Skytrain Station, Amber Boutique Silom offers themed rooms with free WiFi access and a 32-inch flat-screen TV. 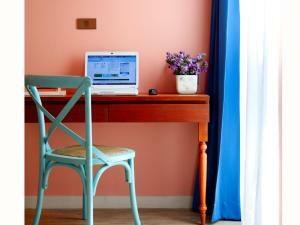 It features a coffee corner and an internet café. 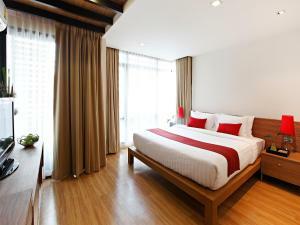 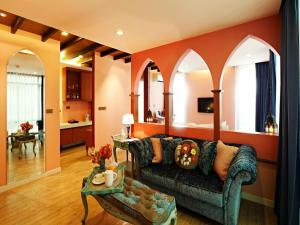 The non-smoking guestrooms at Silom Amber come with Moroccan or Sino-Portuguese interiors, and floor-to-ceiling windows. 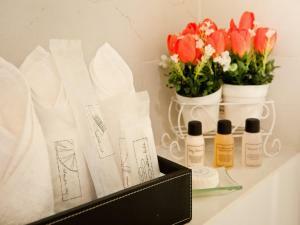 All rooms are equipped with a DVD player and en suite bathroom with a hot shower. 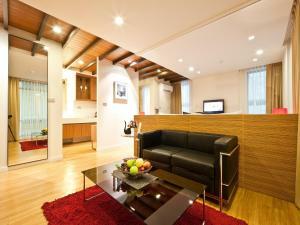 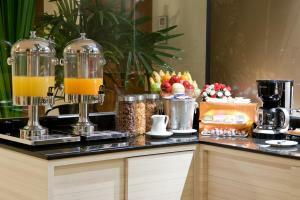 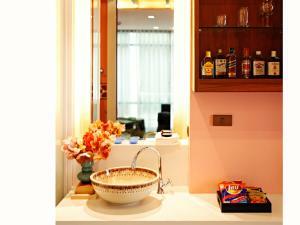 Guests can relax in the coffee corner, or use the facilities at the business centre. 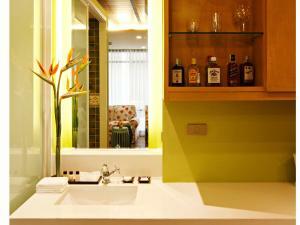 With a 24-hour front desk, the hotel also provides luggage storage facilities and shuttle services. 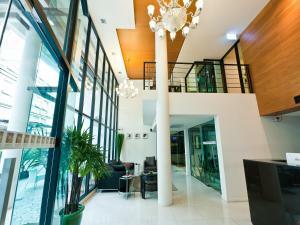 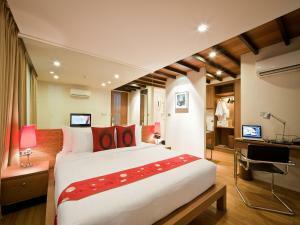 Silom Amber Boutique is 2 km from MBK Shopping Mall and 2.5 km from Chinatown. 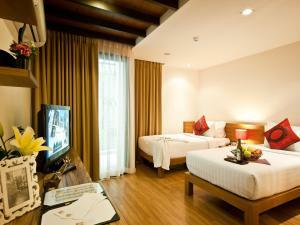 Suvarnbhumi International Airport is a 40-minute drive from the hotel. 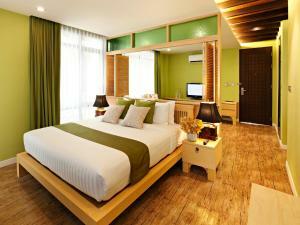 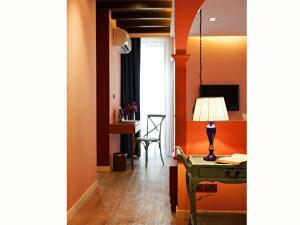 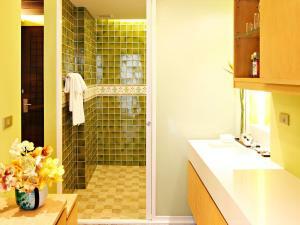 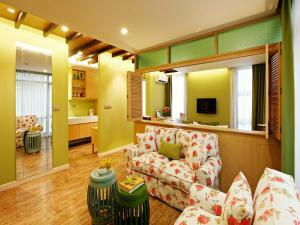 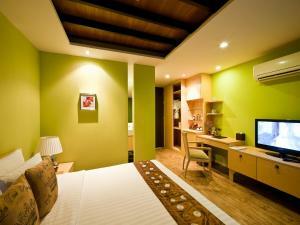 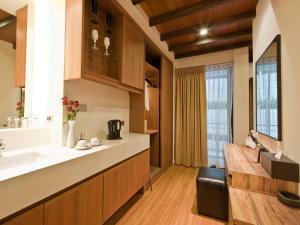 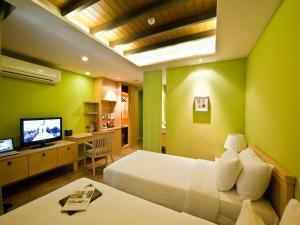 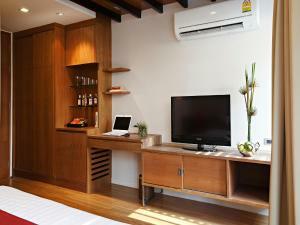 Rooms are equipped with a 32-inch flat-screen TV, a DVD player and a minibar. 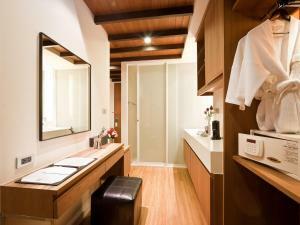 An en suite bathroom is included. 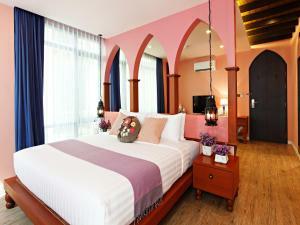 Rate: THB 1899.00 ... THB 2676.60; select dates below to get current rates. 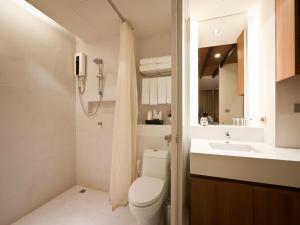 Large room located in the corner offers privacy.